Yes, we've been busy trying to fill those empty spaces on the shelves with more games. And more we have. Just in time and great as a Christmas stocking stuffer for The Resistance fan are these 2 game expansions. the Assassin - The resistance commander has infiltrated the ranks of teh government and gained access to the spy database. 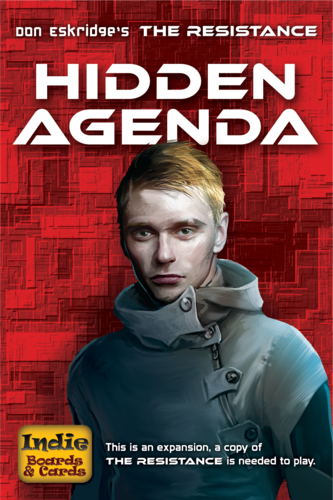 this knowledge can ensure victory for his cause, but he must remain hidden for the spies have an assassin waiting to take him and his access away - permanently. the Defector - Not everyone has a clear allegiance, some are content to play both sides of the conflict. you can never trust a defector, sometimes they can't even trust themselves! the Trapper - Every proposed mission team includes an extra person that won't go on the mission. The leader will isolate a team member and watch their every move, making sure they can't make the mission fail. If you are a spy on the mission team, you'll mever know if you will cause a mission to fail or simply be giving your identity away. But resistance members will have to approve some missions knowing that a spy is on them and trust that the leader chooses to isolate the spy. the Hunter - The battle between resistance and imperial has become more intense. It is no longer enough to target facilities in missions - the target has become personal as both sides look to neutralize their opponent's leaders. In this variant both the resistance and spies must identify a specific individual among the opposing team to win. 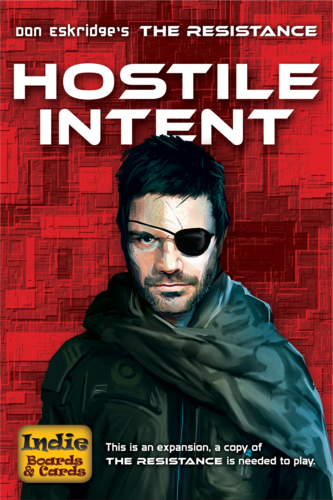 Hunters introduces many new game concepts that bring a whole new level of deduction and deceit into The Resistance. the Reverse - Reversers have the ability to change the results of any mission – in the hands of the resistance this can make a doomed mission succeed, or turn certain victory into defeat. the Inquisitor - No one can withstand the inquisitor's ability to get at the truth. The player with the Inquisitor will be able to look at the affiliation of another player and is a simple way to ensure every game is full of interest twists and turns as the Inquisitor uncovers the truth (at least their version of the truth). 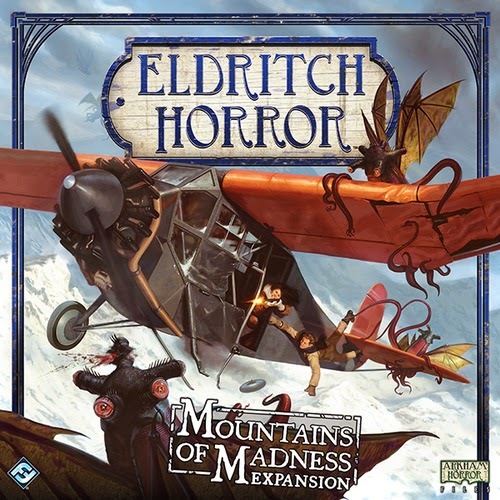 Something ancient stirs in Mountains of Madness, the 1st big box expansion to the base game Eldritch Horror. 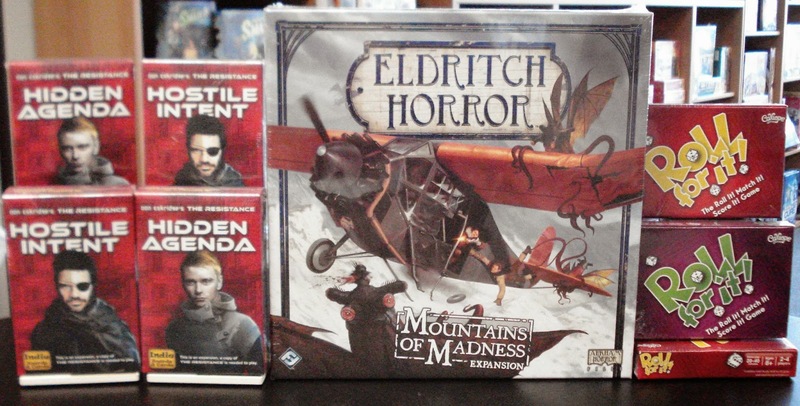 The Eldritch Horror Mountains of Madness expansion introduces the Antarctica side board; a harsh new locale. Antarctica is riddled with strange mysteries and hidden dangers. Eight new investigator are prepared to unveil the truth behind the strange happenings in the world, accompanied by new allies including Professor William Dyer. To aid in their mission, investigators can undertake personal tasks to gain powerful rewards. They will find a plethora of useful items, magic spells, hideous conditions, and terrifying encounters awaiting them at the Mountains of Madness. 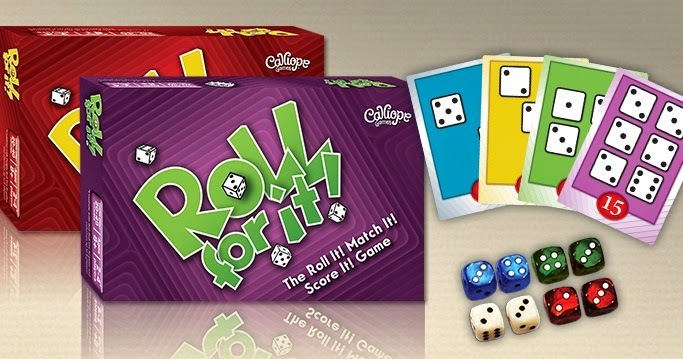 Another great stocking stuffer is Roll for it!, a fun, fast, and easy card & dice game for 2 to 4 players. Combine the red box and the purple box to take your game up to 8 players and a wider variety of cards. The object in Roll For It is to be the first to score 40 points. You do this by competing for the point-value cards that are face-up in the center of the table. Each player will have a set of 6 dice of one color. On their turn players will roll their available dice and match their dice results to the dice images shown on the cards. A card is claimed when a player has met all of the dice images. A new card is then flipped over from the draw pile. Deciding when and how to spread your dice is key to claiming cards as your opponents will be going for these same cards too. 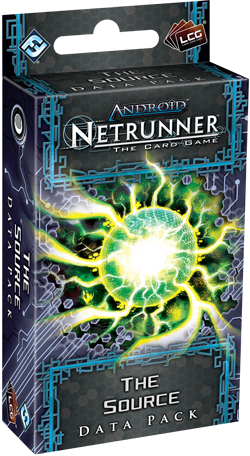 Newly released for Android: Netrunner fans is The Source, the 6th and final data pack in the Lunar Cycle containing cards 101-120.